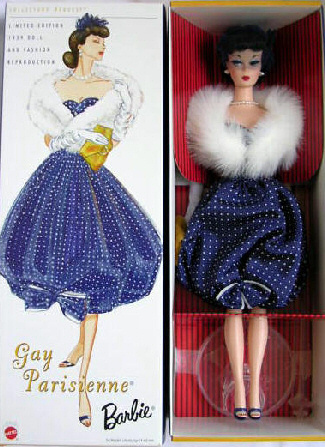 This is a reproduction of one of the "holy grails" of Vintage Barbie collecting - Vintage Barbie Gay Parisienne #964 (1959) and a #1 Vintage Barbie Doll. The vintage ensemble was made for only one year and is very rare and very valuable. The reproduction is a Collector's Request - it was made in smaller numbers and can be hard to find. 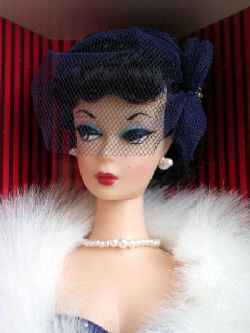 It contains all of the same pieces and accessories as the original ensemble.